Our brand new mini-course designed to help you find a profitable business idea. You don't have a business idea. You're not even sure if you have anything to offer. And you're terrified to put a ton of time and energy into something that won't sell. Most of our students started exactly where you are. Don't wait for an idea to "hit you." It won't. Go out and find your idea. We believe everyone has something they are qualified to teach. We're here to help you find that thing. You don't need just any idea. You need an idea that will sell. Inside our brand new mini-course, you'll be given all the tools you need to find (and validate) your idea. After going through this program, you'll walk away with a profitable business idea, that will sell itself! VIDEO ONE: Generate a viable business idea. You'll understand exactly what you're qualified to teach. By the end of this video, you will probably have more than one idea! Right now, you know something that others would PAY to learn. This video will help you figure out what that idea is. VIDEO TWO: Nail down your "ideal client." Turning your idea into a profitable business begins with understanding exactly who you're selling to. In this video, you'll take your idea from "hmmm...this might work" to "I know exactly WHO will buy this!" The more you can narrow in on this, the more you can charge...your clients will feel like your business was made for them. Think about pants. Wouldn't you pay more for a pair of jeans that is custom tailored to fit your exact body-shape? Same goes for your business. The more specific you can be in your marketing, the more valuable your course is. Finding your idea extends far beyond figuring out "what" you'll teach. It also encompasses "who" you will teach. It's vital to reach outside of yourself when finalizing your business idea. It doesn't matter if YOU think it will sell. What matters, is that REAL PEOPLE (besides you and your mom) are actually willing to pay for your idea. Too many entrepreneurs create courses and then hear nothing but **crickets when trying to sell. This can lead to a TON of doubts and insecurities. We don't want this to happen to you. This video will show you how to go from "I think this will sell..." to "I know this will sell." The time you spend trying to decide what business idea to move forward with is time wasted. We don't want you to waste your time. The best way to find clarity, is through radical action. This video will help you move forward (even if you don't feel ready) and take action. IN-DEPTH WORKBOOK: For hands-on learners, follow along with the videos in our 16-page workbook. 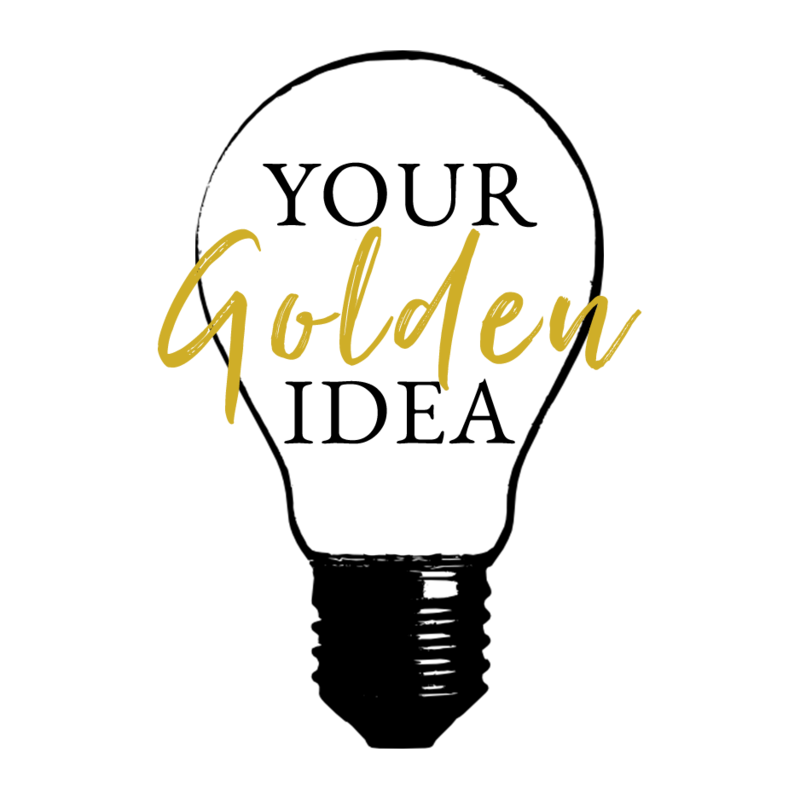 WHEN YOU REGISTER FOR "YOUR GOLDEN IDEA," YOU'LL GET INSTANT ACCESS TO ALL FOUR VIDEOS AND THE WORKBOOK, HOSTED ON OUR BEAUTIFUL MEMBERSHIP SITE. GOLDEN IDEA MEMBERS CAN UPGRADE TO LAUNCH AT ANY TIME WITHIN THE MEMBERSHIP SITE. Don't wait for a business idea to hit you. Our mini course is only available to purchase until midnight EST. READY TO FIND YOUR IDEA?